This photo, to me, is much more interesting to look at than the other, wider images taken thus far. The reason is that it’s using a 100mm telephoto lens, which makes the scale and depth of the scene more prominent. Also, the photo was taken near sunrise or sunset when the angle of sunlight was low, which makes the jagged rock formations on Mt. Sharp more prominent and dramatic. Notice how there are many flat layers of rock exposed on the side of the mountain? They look just like the layers of bedrock along the sides of canyons and mountains here on Earth! The layers you see on Earth were formed by water, when sediments collected on the floor of oceans and lakes and eventually hardened into rock over millions of years. 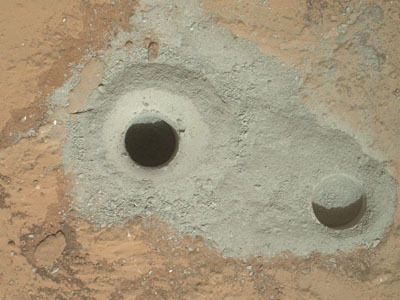 Therefore, scientists are pretty sure the rock layers seen in this photo on Mars were formed the same way, at the bottom of bodies of water on the surface millions of years ago. The big question we still have to answer is, what caused the water to disappear? Also, was there any life in or around that water millions of years ago? I can’t think of anything more exciting than answering those questions about Mars’ past. It’s a great day to be a human. We just, you know, built a nuclear powered 1-ton robot, sent it into space a huge rocket on a trip to another planet, and landed it there with a hovering jetpack skycrane. Oh, and the whole hovering jetpack skycrane thing was all automated. NO BIG DEAL. Everything went absolutely perfectly. 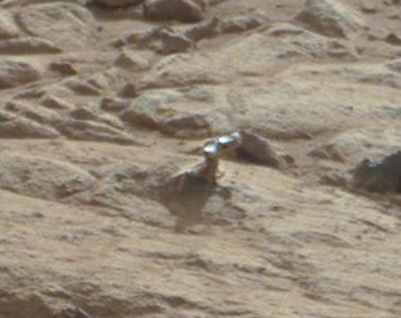 And we even got back images from the rover just minutes after touchdown. Not only that, but I’ve seen tweets that the Mars Reconnaissance Orbiter was able to capture images of the capsule descending during its parachute phase. Those images should be out later today. 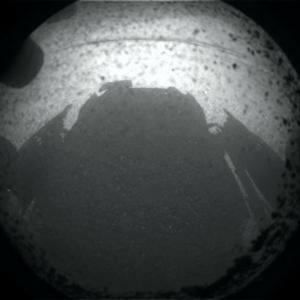 In the meantime, here is the first image of the rover’s shadow. 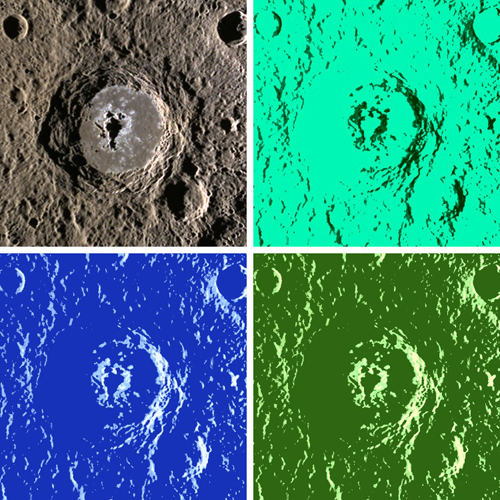 In the coming days we’ll have many amazing, full-color, high-resolution images of the surroundings. You’d have to have been under a rock to no know that NASA’s latest and greatest Mars rover is about to land on the Red Planet. It’s been all over the news lately… but here are a few more deets that you may not know, including when and how to watch the coverage. As usual, Universe Today is on top of the coverage, and this infographic was particularly interesting. They will also be teaming up with Google, CosmoQuest, and the SETI Institute to do a live webcast via Google+ to cover the event. Among the cast of hosts is one of my favorite fellow science enthusiasts/skeptics Dr. Phil Plait of Bad Astronomy. That begins at 10pm central time. The actual landing is scheduled for 12:31am central time. For more on the webcast check out the post on Universe Today. This is the most complex landing procedure ever carried out by a NASA interplanetary mission. The supersonic parachute that slows the lander during the descent phase is a whopping 51 feet in diameter. The rover itself is about the size of a Mini Cooper. The rover is powered by a small nuclear reactor. 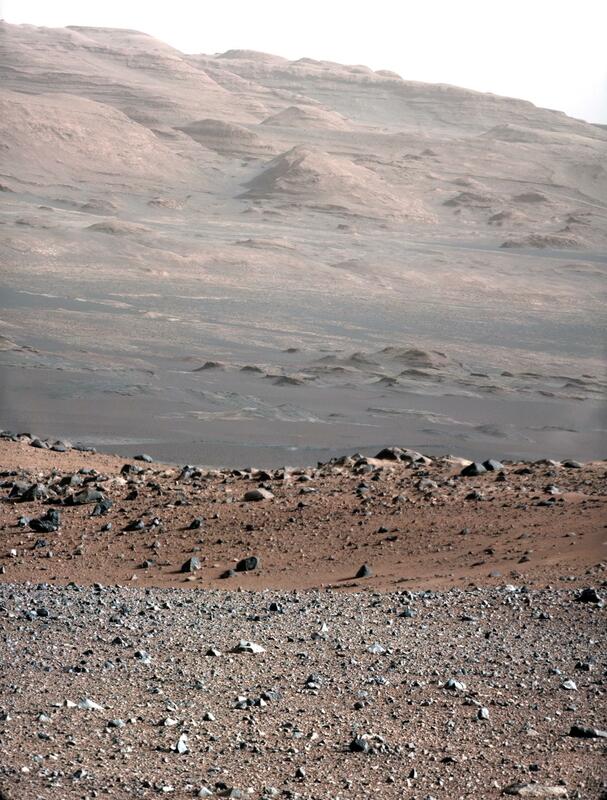 Curiosity will land inside Gale Crater, near the base of Mount Sharp, which has layers of exposed minerals that the rover will sample and study. The total cost of the mission is $2.5 billion. Friends/readers- my apologies for being a bit behind on the blog this week. I’m juggling a lot this week and have been stretched pretty thin. But here are a couple of tidbits I’ve rounded up that piqued my interest. The current leader in the commercial spaceflight race for ferrying NASA’s astronauts and supplies to the International Space Station is Elon Musk’s SpaceX. They decided to combine the next two missions into one sometime last year, but the combined mission has faced several delays recently. Originally scheduled to launch late last year, this mission will be the first commercial mission to launch and dock with the ISS. That’s why this flight is so important and why they are double and triple checking to make sure they’ve dotted all their i’s and crossed all their t’s. 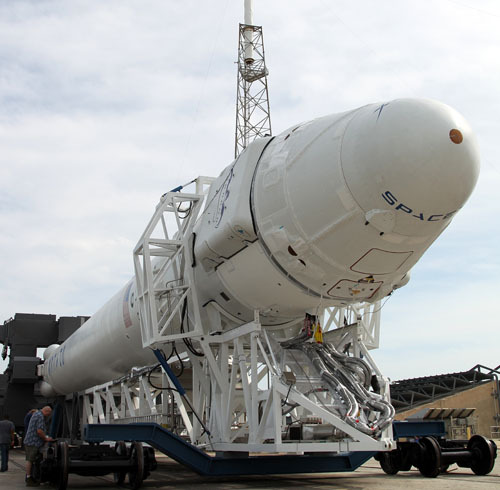 If all goes well the Falcon 9 rocket will blast off from Cape Canaveral at 4:55 AM EDT Saturday morning. For more visit NASA or Bad Astronomy. 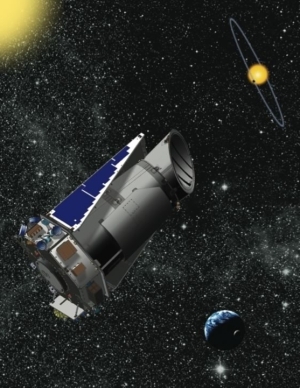 Kepler Mission (and most astrophysics missions) extended until 2016! Some fantastic news from NASA today: The astoundingly successful and productive Kepler Mission has been extended through 2016! This is a huge relief for space nerds like me who eagerly watch science news blogs for the next big news item from missions such as Kepler. As you may know, Kepler is a space telescope which looks for planets in other star systems. Most specifically, the mission is looking for earth-like planets in other star systems. The mission has already racked up over 1,000 potential planets, and I have absolutely no doubt that it will find and confirm the first true earth-twin in these next 4 years. There was a lot of concern over the future of the mission due to recent NASA budget cuts- many thought the mission might not get funding to extend it even till 2014, so getting funding till 2016 was actually a pleasant surprise. The funding will, however, be up for review again in 2014. Still, this is a huge relief because Kepler has already seen what could be earth-twins, we just have to wait for a second transit to occur to confirm the initial observation. Since these are truly earth-like planets, it takes them roughly one earth year to orbit their parent star. The major worry was the mission would be ended before a second transit could be observed to confirm the planets’ existence. Thankfully we no longer have to worry about that, and it’s only a matter of time before the holy grail of planet-hunting is found.